Thank you for visiting another one of Preferred Auto Illinois Road's online listings! 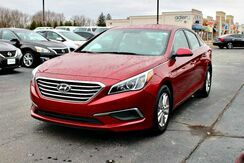 Please continue for more information on this 2015 Hyundai Sonata 2.4L Sport with 62,743mi. When it comes to high fuel economy, plenty of versatility and a great looks, this HyundaiSonata 2.4L Sport cannot be beat. This Hyundai Sonata's superior fuel-efficiency is proof that not all vehicles are created equal. The 2015 Sonata is a midsized sedan, placing it in direct competition with several of the best selling cars in the country. Competing with the likes of the Toyota Camry and the Honda Accord is no easy task, but Hyundai's typical strategy of packing a ton of value into their cars remains unchanged. The Sonata offers a lot of car for the money, undercutting its rivals in price, while simultaneously offering more interior volume and more upscale features. 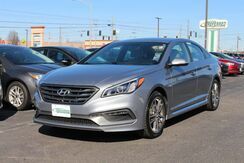 Preferred Auto Illinois Road has a wide selection of exceptional pre-owned vehicles to choose from, including this 2016 Hyundai Sonata. This wonderfully fuel-efficient vehicle offers a supple ride, quick acceleration and superior styling without sacrificing MPGs. 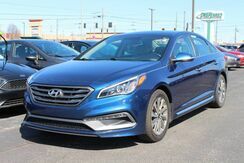 This 2016 Hyundai Sonata has such low mileage it has been parked more than driven.